Nigerians up and down the length and breadth of this country must come to their assistance and shame this multinational into giving its workers what it owes them and what it promised them in their conditions of service when they were employed. This says it has dutifully complied with the judgment of the Nigerian Supreme Court and has reached an agreement, with the help of the Ministry of Labour and Employment, agreeable to all parties concerned. The facts of this case are simple and straightforward. In an attempt to save money, ExxonMobil decided to convert its security workforce into what it called Spy Police. This means, instead of paying them the wages it had been paying in relation to the terms and conditions of their employment, it suddenly claimed it was not their employer. Instead, because it decided to send them to the police for tutorials, it said, out of the blue, that they were employed by the Nigerian Police. The whole point of this shenanigans is so it would no longer have to pay them according to the higher salary structure of ExxonMobil, a multinational oil company; but according to the lower salary structure of the Nigeria police. The workers refused to agree to this blatant 419 and took the matter to court. The suit started in a Federal Government Public Complaints Commission, Uyo in 2003, went to the Federal High Court, Uyo from 2004 to 2006, then to the Appeal Court in Calabar from 2006 to 2009, and from there to the Supreme Court in Abuja from 2010 to 2018. After 18 years of litigation in which the Nigerian workers had one victory after another, the Supreme Court finally ruled in their favour their in March 2018, affirming and upholding the judgment of the Appeal Court. In its verdict, the Supreme Court stated categorically: “This appeal (by ExxonMobil) lacks merit and it is hereby dismissed.” (Supreme Court Judgement, Abuja 2010 – 2018, Ref: SC 33/2010). 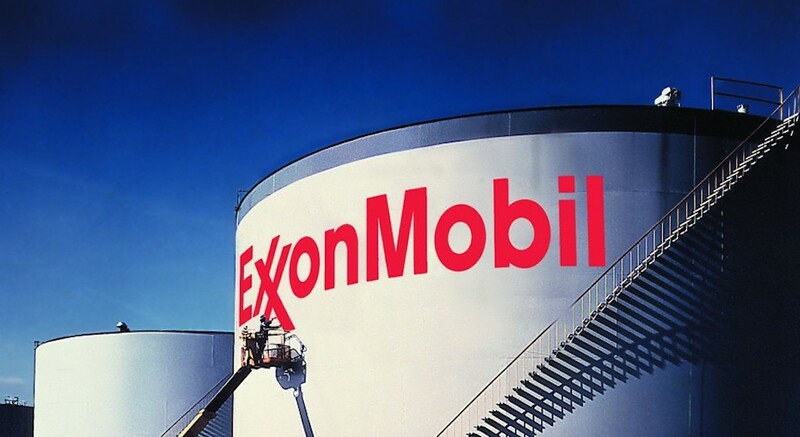 It declared that: “it is illegal and without legal backing for Mobil to have employed the Nigerians and sought to off-load them to the Nigeria Police Force through the back door.” The Court ordered ExxonMobil to pay the workers all outstanding allowances and salaries from the date they were employed in line with the company’s policy. But rather than obey this explicit verdict of the Supreme Court, ExxonMobil sacked all 507 of its litigating staff in different locations in the country all on the same day. It then locked them out of all its premises. While it is arguably the prerogative of ExxonMobil to dismiss its staff, it must do this according to laid down regulations. Moreover, workers who have been with ExxonMobil for long, some for as many as 30 years, must be paid their pensions and gratuities. However, in contravention of the verdict of the Supreme Court, ExxonMobil still insists it will do this according to police civil service rates and not according to the terms of an oil company, which is what it agreed with the workers when they were employed. However, as the verdict of the courts indicate, at no time were these workers employed by someone else other than ExxonMobil. At no time were they posted from somewhere else to ExxonMobil. The workers were employed in response to adverts placed by ExxonMobil. They were interviewed by ExxonMobil, employed directly by ExxonMobil, and have been loyal ExxonMobil staff of longstanding. This is cheating, pure and simple. ExxonMobil also claims the package it is offering these security workers as benefits, under terms agreed to by the Ministry of Labour, remunerates them competitively when compared to those offered by other oil companies in the industry. This is another big lie. In over 30 years, they have protected valuable but vulnerable asset of ExxonMobil, as well as the lives of its expatriate and Nigerian personnel. They have done this at various locations where ExxonMobil operates, including Abuja, Lagos, Bonny River Terminal, Eket, Qua Ibom Terminal and Port Harcourt. They worked in different capacities as administrative heads and assistants, intelligence and investigative personnel, executive protection officers, airport and protocol officers, locations patrol officers, control room and CCTV operators and security guards. They also provided onshore and jetty protection, offshore surveillance and patrol and airstrip/tarmac supervision. All these duties were performed in the security department in close collaboration with the Logistics and Safety Departments of the company. In the attempt to deny their legitimacy as bona fide ExxonMobil staff, the company said in its many advertorials: “Mobil’s core business is not security.” This is deliberately misleading. The fact of the matter is that ExxonMobil cannot execute its core objectives of hydrocarbon operations in Nigeria without securing critical asset (personnel and material; moveable and immoveable). The company has operational items and property in different locations around and within Nigeria. Without security stationed around them, it would have been vulnerable to attacks and disruption, especially given the high level hostility the company faces in the Niger Delta. All this makes its security workforce a critical and core asset of ExxonMobil. ExxonMobil further claims that, with the help of the Ministry of Labour and Employment, it has reached an agreement that is acceptable to all parties. If this were true, one then wonders why the affected Nigerian workers are still protesting. Why do they continue to insist they are being defrauded of their legitimate earnings by ExxonMobil? The truth of the matter is that ExxonMobil’s statement is a tissue of lies. Publishing lies in multiple newspaper and online publications does not transform these lies into truth. The affected Nigerian workers may not have the resources to engage in a media war with ExxonMobil by also buying pages in newspapers for their own public statements. That is why Nigerians up and down the length and breadth of this country must come to their assistance and shame this multinational into giving its workers what it owes them and what it promised them in their conditions of service when they were employed. One thing that is particularly disturbing is the fact that, in their struggle for their rights, Chris Ngige, the minister of Labour and Employment, has taken sides with ExxonMobil. As a matter of fact, ExxonMobil publishes its image-laundering advertorials side-by-side with a statement released by Ngige’s ministry, entitled: “Conclusions of the Meeting Held Over the Picketing at MPNU Locations by Former Security Personnel.” (ref. ML.HB 7728/IV/93). However, there is nothing conclusive about the meeting organised by the ministry. It is just an attempt to cajole the striking workers to accept ExxonMobil’s denial of their rights and to sidestep ExxonMobil’s contemptuous refusal to accept the verdict of the Nigerian Supreme Court. This is cheating, pure and simple. ExxonMobil also claims the package it is offering these security workers as benefits, under terms agreed to by the Ministry of Labour, remunerates them competitively when compared to those offered by other oil companies in the industry. This is another big lie. Why would the workers continue to agitate if this were true? The truth of the matter is that no oil firm in Nigeria has ever paid or settled its staff based on the salary structure of the Nigerian civil service or the Nigeria Police. This is what ExxonMobil is trying to do in order to save money. It amounts to attempting to defraud the workers of their legitimate entitlements according to their agreed conditions of service with ExxonMobil. Why would a labour minister in Nigeria join forces with an American oil firm to shortchange the rightful and deserved benefits of its Nigerian workforce? Why would a labour minister contravene the express verdict of the Nigerian Supreme Court? Why would the minister and the commissioner of Police for Lagos State direct that the workers’ protests must stop..? This is where the role of Chris Ngige in this whole matter is troubling and unacceptable. It is unconscionable that Ngige, Nigeria’s minister of Labour and Employment, has taken sides with oppressive ExxonMobil, instead of oppressed Nigerian workers. Ngige should be reminded that he works for Nigerians and not for foreigners. He is paid by Nigerians and not by foreigners. Instead of standing by the judgment of the Supreme Court, Ngige affirmed ExxonMobil’s prejudicial sacking of its litigating Nigerian workers. He then packaged a remuneration for them more in tune with the fraudulent blueprint of ExxonMobil. The honourable minister does not have the right to work out another remuneration for ExxonMobil workers contrary to the standard one already in place. He cannot create a package that is not in line with standard ExxonMobil policy on staff welfare. He must insist that the workers be paid based on ExxonMobil policy as applied to other personnel in other departments of the company. He cannot claim to be doing this because he does not want to disrupt Nigeria’s oil trade. That is disingenuous. What Ngige agreed to, in effect, is the defrauding of ExxonMobil’s Nigerian workers. He agreed to the denial of their lawful and rightful benefits in a company they have worked for, for over 30 years. It is wrong for these workers, who have worked under ExxonMobil’s guidelines, rules and regulations, to be suddenly downgraded to a civil service structure conceived by ExxonMobil and ratified by Nigeria’s minister of Labour and Employment. Why would a labour minister in Nigeria join forces with an American oil firm to shortchange the rightful and deserved benefits of its Nigerian workforce? Why would a labour minister contravene the express verdict of the Nigerian Supreme Court? Why would the minister and the commissioner of Police for Lagos State direct that the workers’ protests must stop and they must be ejected from their strike positions in front of ExxonMobil HQ? Your guess is as good as mine. After the Apex Court had given its judgment, ExxonMobil not only refused to comply, it tried to re-litigate the matter, even though the Supreme Court is the final authority in all legal matters. It took the matter to the Industrial Court, Ikoyi. When that also failed, it approached the High Court, Igbosere, Lagos for another round of delay and deny tactics; all aimed at evading the execution of the judgment of the highest court in Nigeria. This is a just cause. “The man dies in all who keep silent in the face of tyranny.” (Wole Soyinka).